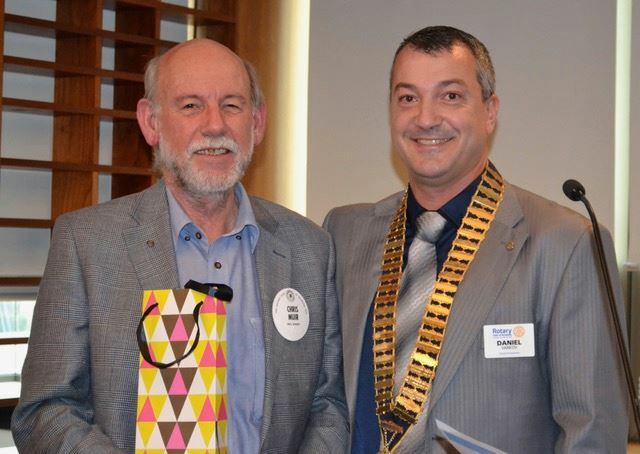 We had a most enjoyable changeover lunch on Monday 25 June with a large attendance including the following visiting Rotarians:- Peter Morley, Redcliffe Sunrise; Michael Evans, Mid City; Greg Beard and Nigel Harris from Albany Creek and our district Governor Wendy Protheroe and Assistant District Governor Lisa Bateson. There were a number of apologies and I particularly want to acknowledge Don O’Donoghue’s as Don introduced me to the club in 1992. Don called me prior to the lunch to say how sorry he was not to be able to attend but his health precluded it. I was also very moved by the presence of Stan Francis as I know that coming to our meetings is now a major battle for Stan, and I was very sad that this was Jacqui Page’s last meeting. At the cluster meeting on 26 June ADG Lisa Bateson volunteered the observation that there was a very happy and cheerful atmosphere in the changeover and from my observation no one appeared to be happier or more cheerful than the immediate past president Daniel. I know Daniel has put an enormous amount of time and effort into his presidency and it is going to be a very hard act to follow. I will do my best but am pretty sure that Daniel’s mitochondria must be turbocharged and certainly much superior to mine. For someone relatively new to Australia and Rotary, whose first language was not English, who has a young family, and on top of all that is undertaking a PhD, Daniel’s presidency has been remarkable and I have no doubt that Australia and Rotary are very lucky to have him on board. Daniel has given us a comprehensive three year strategic plan which provides an excellent framework to work with in strengthening the club and the board has already considered some of the recommendations which we hope to institute in this Rotary year. More of this in the next newsletter but my hope is that we can together continue the good work of the previous years, as well as becoming involved in some new projects which contribute to the well-being of both the local and international communities, and along with this help to ensure that the club will still be vibrant and successful at the end of its second 95 years and beyond. The CEO of Red Frogs, Andy Gourley, accepted a cheque for $25,000 from the club and we were treated to a comprehensive overview of the excellent work his organisation has carried out over the last twelve months in assisting young people, particularly those with mental health problems. This major donation was made possible by the Public Ancillary Fund which in turn is a product of the enormous generosity of members past and present. 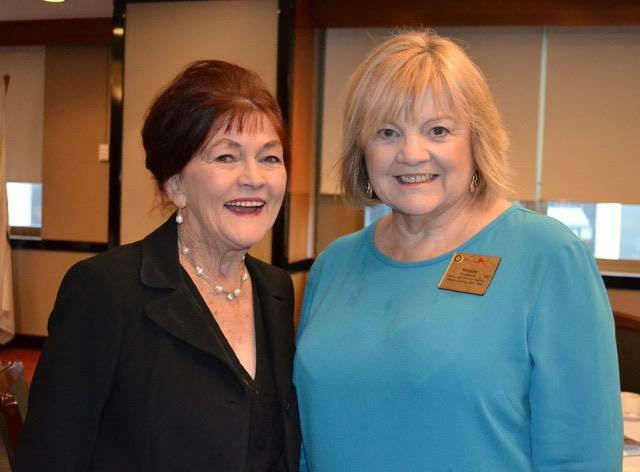 I am very pleased to acknowledge the recent very generous donations to this fund by Don O’Donoghue and Mario Pennisi in lieu of their being able to attend our meetings personally. I also remind all members that the PAF is a registered charity which has no administration costs and that donations to it are tax deductible and will continue to work in making our world a better place as long as Rotary exists. Our Sergeant, Luke Marshall, caught nearly everyone out, including himself, with some questions on very obscure topics resulting in an excellent take in the brass pots. Dymphna and I will be in Papua New Guinea for ten days from July 6 and hope to meet a senior member of the Rotary Club of Port Moresby to help with the progress of the Kyeema Foundation chicken breeding program in PNG. A report on this will be presented to the club in due course. Because of this trip the next board meeting will be postponed to the 23rd of July. I look forward to a successful year for the club and will depend on the help and advice from members new and old for this to happen. The meeting was well attended with 29 people there. 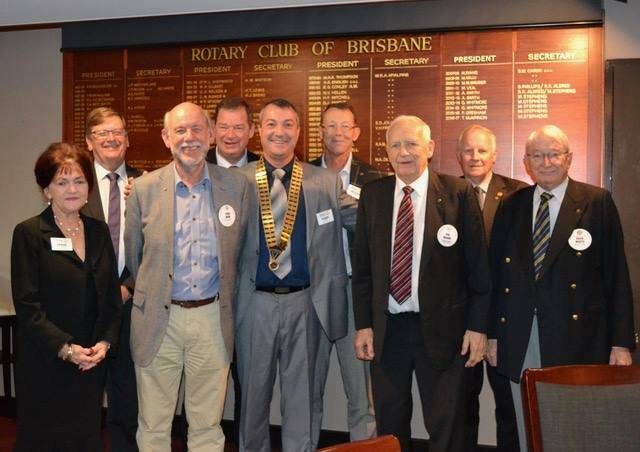 Jaqui De Lacy chaired the meeting and began with a welcome to members, visitors and visiting Rotarians: Peter Morley from Redcliffe Sunrise, Michael Evans and Lisa Bateson from Mid-City, Greg Beard and Nigel Harris from Albany Creek and finally Wendy Protheroe, our District Governor. Apologies – Don O’Donoghue, Mark Williams, Terry Kung, Tony Pilkington, Clive Shepherd, PDG John Lane, Bo Mourse, Dan Adler and Jillanne Myers. After Rotary Grace and toasts to Australia and Rotary International, Wendy Protheroe addressed the room and spoke about the value of gathering together in fellowship as Rotarians, celebrating the achievements of Rotary International and taking the time to reflect on the impact that Rotary International has on so many people’s lives. Daniel then delivered his 2017/2018 report to a backdrop of 450 photos of highlights from his year in the presidency. The 20017/2018 Board then gathered for a photo. 2017-18 Board Members. L-R: Denise Schellbach, PAF Chair John Smerdon, President Elect Chris Muir, Treasurer Warren Walker, President Daniel Vankov, Secretary Michael Stephens, PP Wal Bishop, PP Graeme Whitmore, PP Keith Watts. 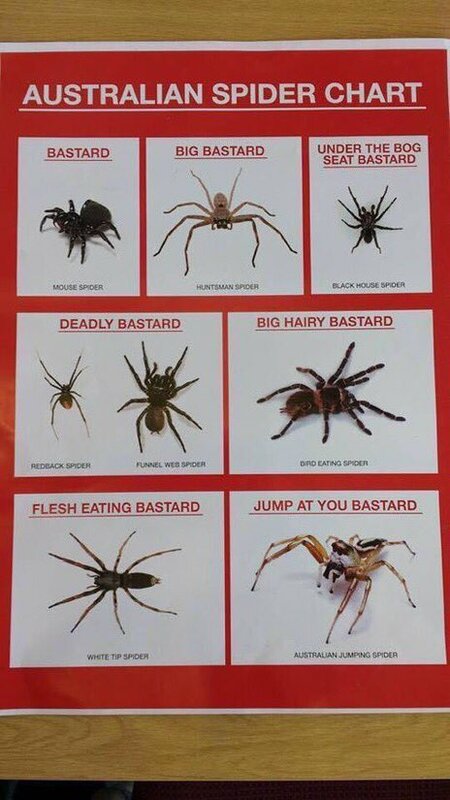 Absent: Exec Sec Mark Williams. Daniel, John Smerdon and Chris Muir then presented a $25k cheque to Pastor Andy Gourley from Red Frogs. Andy shared some interesting statistics: Over 70k Red Frog call out cards were distributed to School leavers, Red Frog responded to 89 overdose calls and 83 mental health call outs. Andy also shared two stories of young people that Red Frog had been able to assist, one whose life was saved. 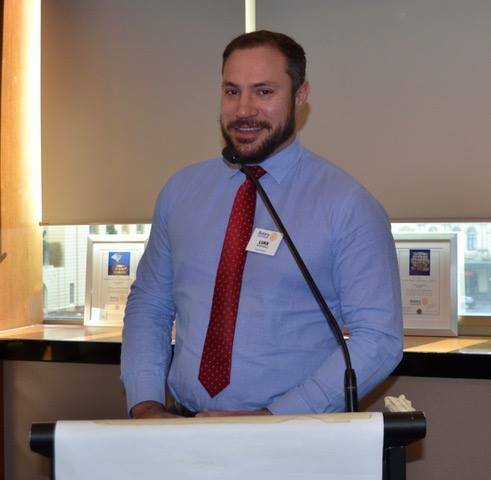 He went on to say that Rotary should be proud of the impact it has had on so many young Australians, not just through the Red Frog sponsorship but through the many other programs run in the community. The Sergeant, Luke Marshall quizzed everyone on the flags resulting on fines for most, including Luke. The raffle was won by Chris Muir and the Joker remains in the pack. 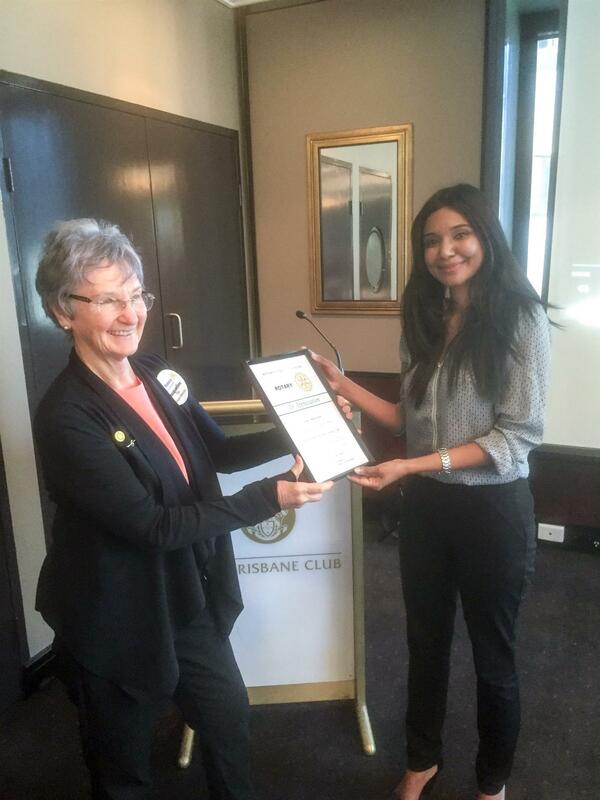 (Last Week) Chair Jacqui Page presents Jayani Amarasinghe with a certificte of appreciation for all her hard work in preparing the 3-year strategic plan. Last week John Smerdon used his magic finger and helped the Club achieve one more goal for the 2017/2018 Rotary year. This way we have achieved 23 out of 27 goal given that we started the year with 20. My Annual report is updated to reflect what happened until the 30th of June. If you would like to know what that additional achieved goal is, please, have a look at the report to find out. With permission from President Chris I would like to offer members of the Club an opportunity for contributing volunteer hours in community work. From 16th to the 27th of July (weekend excluded) I will be collecting data with the virtual reality driving simulator you saw at the Queen Street Mall for our anniversary. I will be at the QUT Garden Point Campus, Block P, level 3 (the lobby of the Library) every day from 10 a.m. to 4 p.m . If you would like to give me a hand and around lunch time I will certainly be able to benefit from some help, please, let me know. 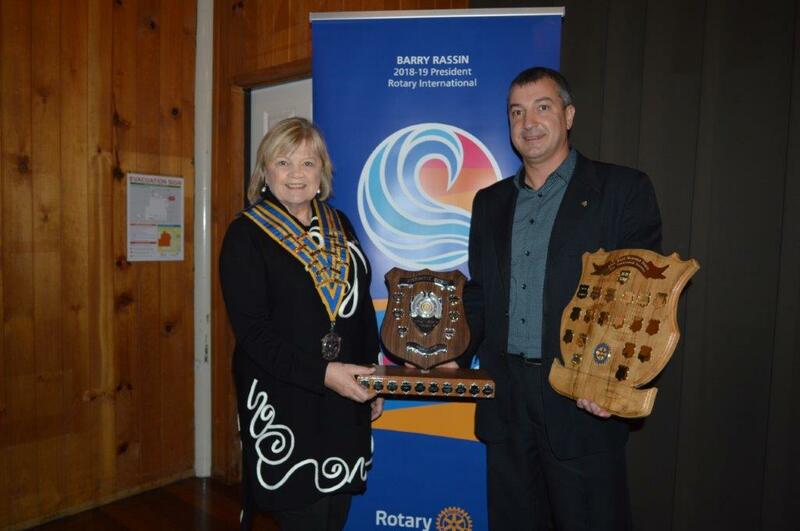 Graeme Whitmore then took the stand and announced the retirement of Jacqui Page from Rotary, he spoke about her enormous contributions to Rotary over the years and the impact she has had on the club and its members. She will be sorely missed. Graeme thanked Daniel for his outstanding service as the club’s president. He credited Daniel for the vigour he has brought to the club in spite of the challenges he faced in juggling the presidency with his young family and academic commitments. Daniel was then presented with a past presidents’ pin from Graeme’s personal collection. Graeme then introduced Chris and called on the club to support Chris in his efforts over the coming year. Chris thanked Graeme and said that it is not without “trepidations” that he assumes the role of president. Chris also expressed his displeasure with Daniel saying that he will be a hard act to follow. Having never used a computer, Chris said that the acceptance of his lovely wife as a member of RCOB would be key to his success as president. Chris will be travelling to New Guinea with his wife in the coming weeks and hopes to be able to fill the club in on his main international project for the year upon his return. The hardware was handed over and the new president of RCOB, Chris Muir, closed the meeting. Sergeant-at-arms Luke Marshall filling the brass bowls again.